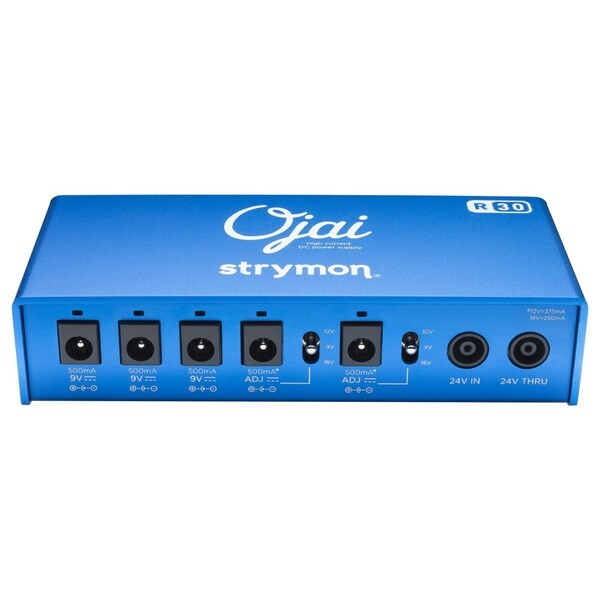 The Strymon Ojai R30 Multi Power Supply expands upon the Ojai by offering switchable output voltages on two outputs, allowing players to power even more pedals than before. Featuring a low profile and lightweight design, the R30 offers 500mA of power on all its outputs, while the last two also offer 375mA an 250mA, ensuring players can supply power to even the most power hungry of pedals. 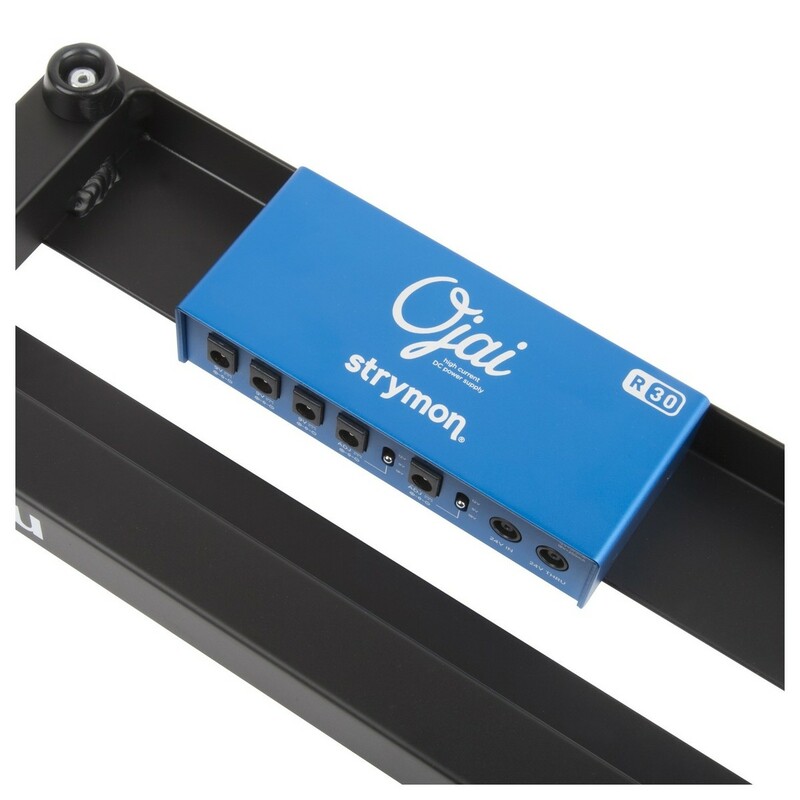 The power supply can be used alone or connected to other Ojai or Zuma power supplies via the 24V through jack, allowing more pedals to be powered without the need for more plugs. Offering the highest horsepower and the most technologically advanced power supply of its size, the Strymon Ojai R30 Multi Power supply is the ideal choice for any performing musician wanting to improve their setup. The Ojai R30 Multi Power Supply has been designed to offer incredible amounts of power, as clean and with as little noise as possible. 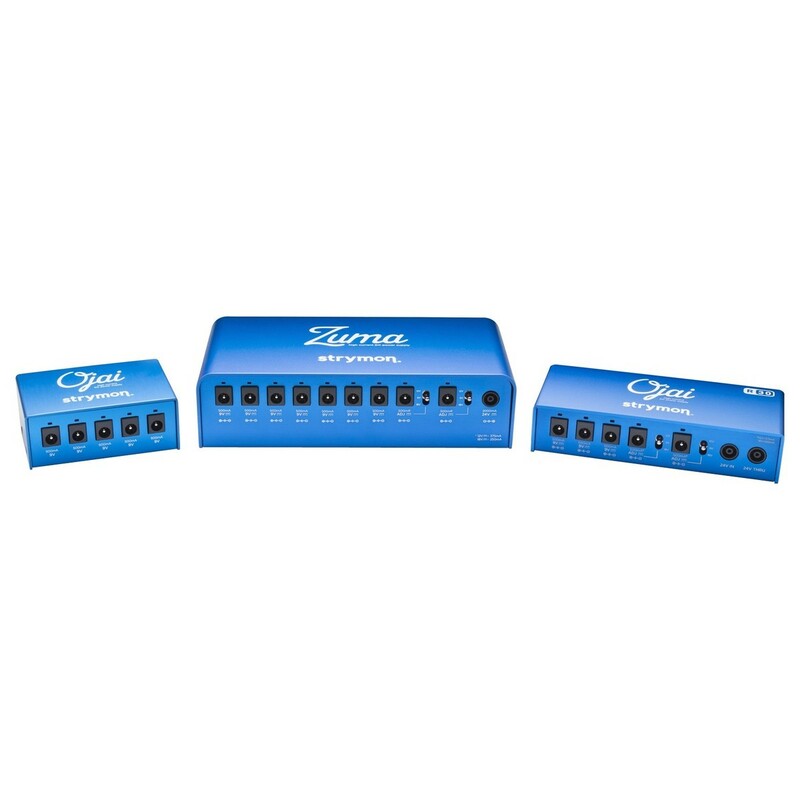 Using advanced technology, the R30 offers five high-current, individually isolated outputs that feature dedicated regulators and custom transformers to achieve ultra-low-noise. 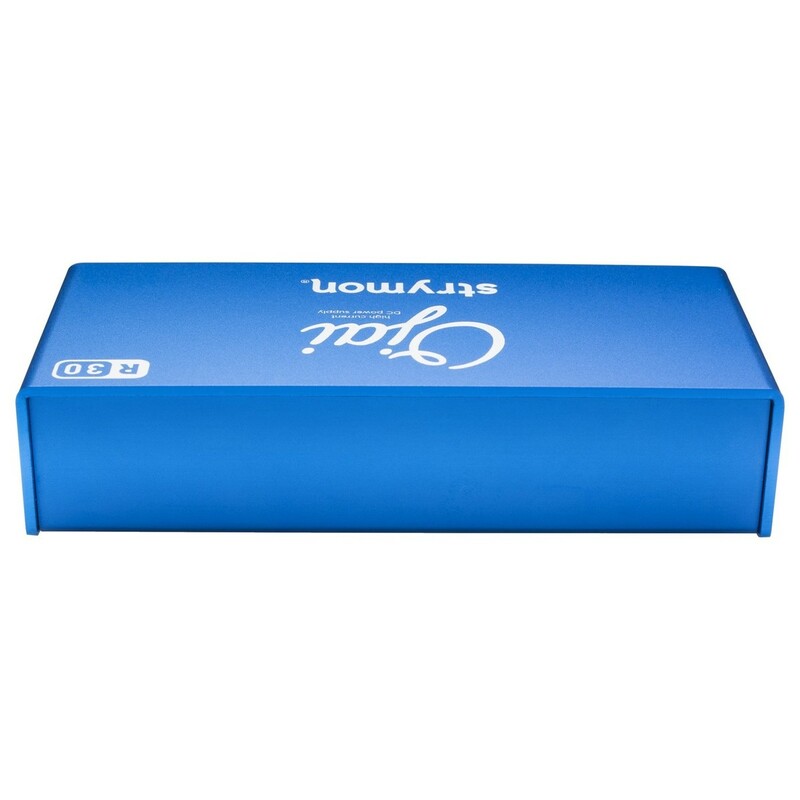 Each of the outputs offer 500mA of power at 9V, ensuring the Ojai R30 can handle even the most power hungry pedal. The power supply has also been designed with dual stage topology, optical isolated feedback, and advanced multistage filtering. Two of the outputs on the power supply feature switchable output voltages, offering the choice between 9V, 12V, and 18V to accommodate a variety of powerful pedals. With a simple flick of the switch, the outputs can provide 500mA, 375mA, or 250mA to ensure no pedal is left without power. Designed with an in-built automatic international compatibility, the Ojai R30 can deliver clean, reliable power no matter where you are. 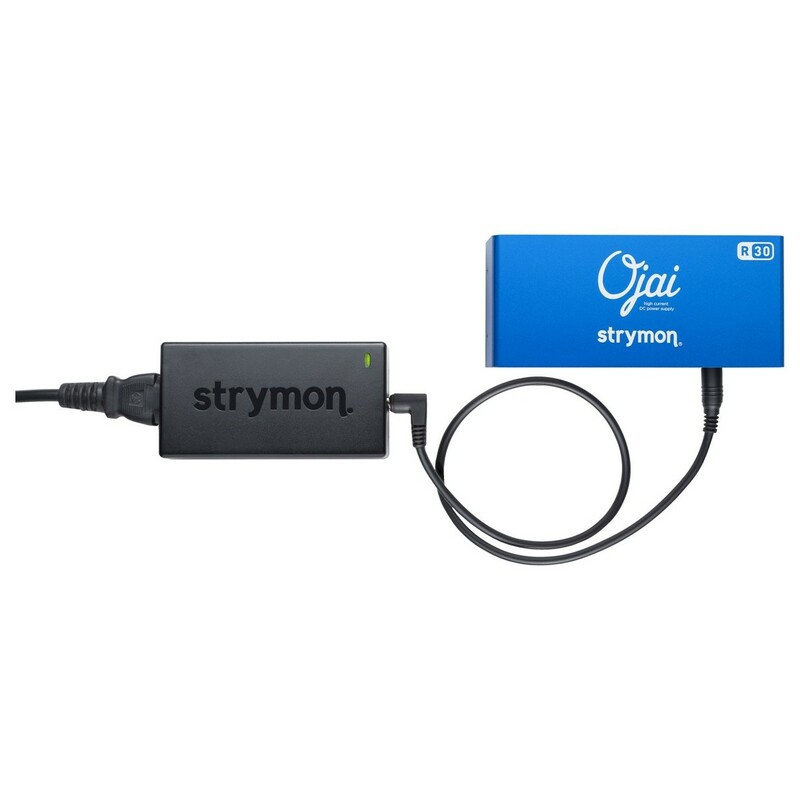 Whether you’re using 100V, 120V, 240V, or any other variation, the Ojai R30 will deliver a clean source anywhere in the world, ideal for touring musicians. 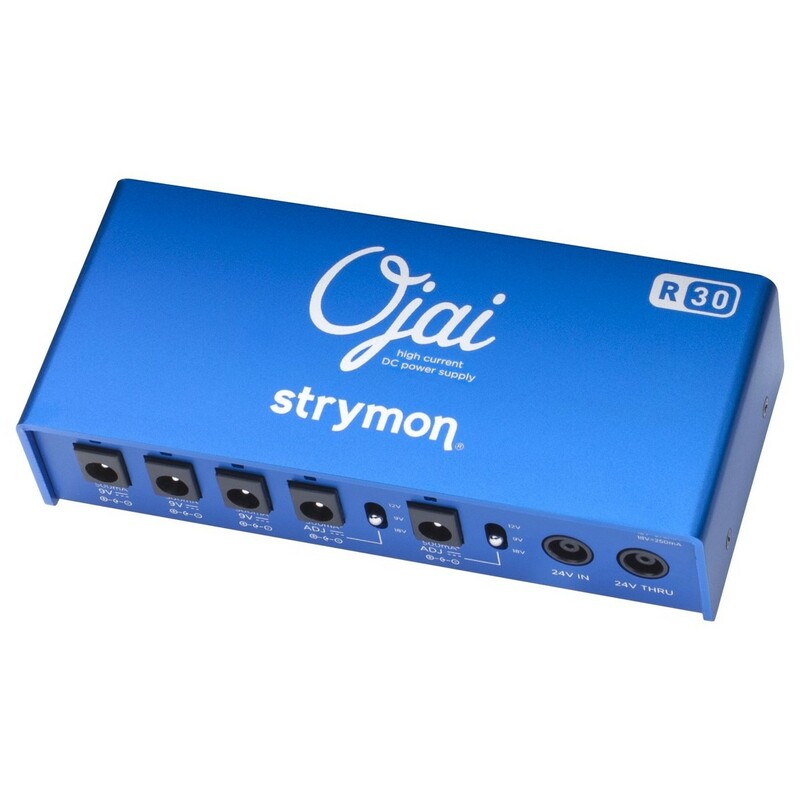 Offering incredible power in a compact way, the Ojai R30 is designed to be as small as possible so it will be easier to integrate into your rig without taking up too much room. The power supply's circuitry is encased within a lightweight and rugged aluminium body, designed to be as slim as possible in order to fit under practically any pedalboard.